We’ve used Kickstarter for a number of projects, and thanks to wonderful friends like you supporting us we are able to bring more to your gaming table than we could have without it. Thank you to everyone who has ever supported one of our Kickstarter projects with a pledge or by encouraging others to pledge. However you’ve helped, know we appreciate it. 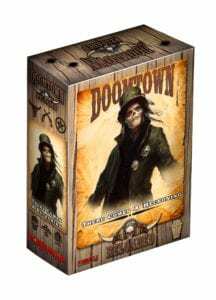 Doomtown: Reloaded is a poker-driven territory control card game, based on the 1998 Origins Awards Best Trading Card Game, Deadlands: Doomtown! Now you can harness the power of Ezekiah Grimme (Famine), Raven (War), Darius Hellstromme (Pestilence), or Jasper Stone (Death). Beware though, such power always comes at a cost as Legends trade starting wealth in exchange power. You now have the option to attach a Servitor to your Outfit’s home in order to enable far-reaching strategies. The Goon™ RPG ain’t about heroes, per se. More like antiheroes. Join the Goon’s crime syndicate—or play as Goon, Franky, and the rest of their crew—and fight off the rival gangs what’s encroachin’ on your turf, while you collect on Goon’s debts and whatnot. You might also succeed at fighting off the tide of bleak suffering that’s set to consume yer soul. Then again you might not! Go to The Goon™ RPG Kickstarter here. Go to the Fear Agent™ RPG Kickstarter here. Deadlands was originally printed in 1996 to rave reviews and industry awards, with a revised edition only a couple years later. Fans praised it for its writing, flavor, and innovative use of playing cards and poker chips in a unique setting that accommodated both character histories and an ongoing metaplot. It won every major award the industry had to offer and then some! Now, for the 20th anniversary of this milestone in roleplaying game history, Deadlands Classic will re-release in a Limited Kickstarter Edition, full-color hardcover! The revised (and best) printing of the original black and white game game has been lovingly COLORED by top artists to create the edition its creators always dreamed of. Go to the Deadlands Classic 20th Anniversary Edition Kickstarter here. While fans of Deadlands Classic enjoy the new edition, those keeping up with the Servitor Plot Point Campaigns for either system will be happy to know we’re also launching the fourth and final book in the series, Good Intentions! Besides this tale of the lost and damned, Good Intentions features new Interventions for Blessed characters so they can summon forth plagues of biblical proportions or even resurrect the dead, steam augmentations from the so-called City o’ Gloom such as piston-powered arms or venomous fangs, new critters and villains, and a return to the Weird West’s favorite blood sport—skullchucker! Go to the Deadlands: Good Intentions Kickstarter here. Two Weeks. Two Kickstarters. Twice the Deadlands action! 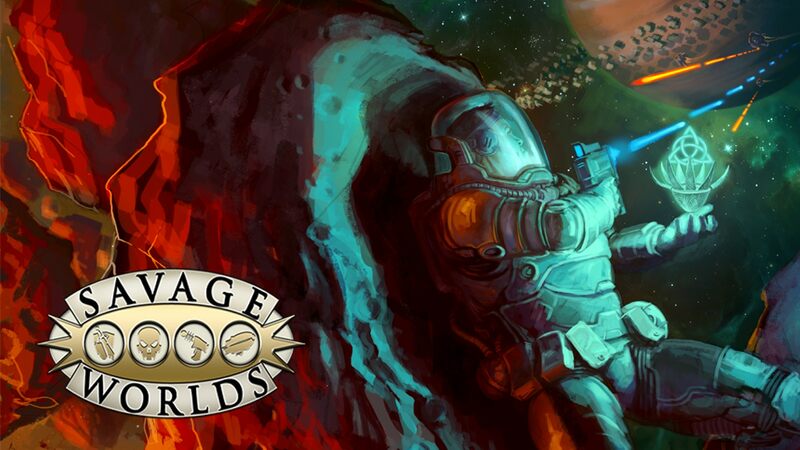 The Heroes of the Tomorrow Legion are called to defend that future.Savage Rifts® brings the incredibly popular world of Palladium Books’ Rifts® to the award-winning Savage Worlds system by Pinnacle Entertainment Group. The gates of the Megaverse® bring infinite challenge and adventure to a war-torn world struggling to build its future. Order the books and other materials here. Weird War I is the latest entry in Pinnacle Entertainment Group’s Weird Wars series. The Twilight Legion has so far marched across the battlefields of Rome, Vietnam, and World War II. Now our intrepid soldiers, sailors, airmen, and even civilians must endure the mud and trenches of what would become known as World War I. You may order Weird War I books and other materials here. In Rippers, the Cabal of evil formed under the leadership of the monstrous Jack the Ripper had the Victorian world on its knees, and your team fought back. Using Rippertech pulled from the creatures of hell and implanted into yourselves, you are called once again in Rippers Resurrected to save the world for Queen and country! The Rippers Kickstarter campaign ran in October 2015 and all materials promised have been delivered in PDF. You may preorder Rippers books and other materials here. Based on the critically acclaimed Eisner and Harvey Award nominated series by writer Cullen Bunn and artist Brian Hurtt, published by Oni Press, our Sixth Gun RPG Kickstarter ran in May 2015. 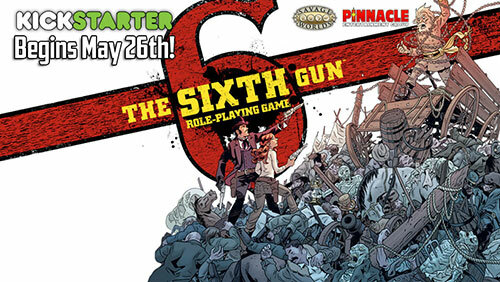 You can check out all the Sixth Gun roleplaying game products created in that campaign. 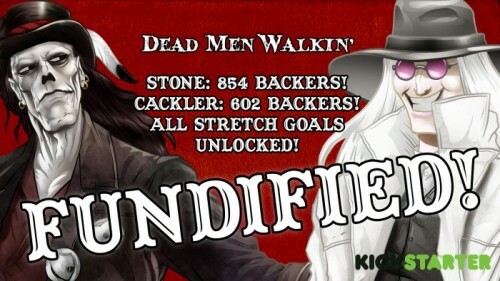 Dead Men Walking was for TWO projects set in the world of Deadlands: The Cackler Graphic Novel and Stone and a Hard Place. We took a gamble running two Kickstarters simultaneously in January of 2015, but you didn’t let us down. You can find everything promised in the Stone and a Hard Place campaign here. For The Cackler Graphic Novel, visit our partner, Visionary Comics: The Cackler Graphic Novel. 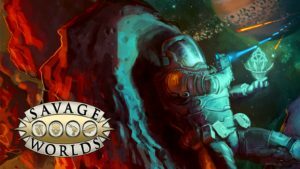 Adventures take explorers from system to system and planet to planet, finding strange new civilizations, discovering terrifying creatures, and battling pirates, hostile aliens, rival corporations, and stranger things! Faster-than-light travel has finally allowed humanity to spread beyond its lonely corner of the Milky Way. In the depths of space these explorers found millions of star systems, strange planets, and exotic alien races. Centuries later, they form the Known Worlds, a vital region of trade and technology where empires grow and business thrives.It is an unparalleled age. Cutting edge science has opened limitless frontiers of space and consciousness, and has even begun to hint at the mysteries of the universe itself. But to find them, one must travel beyond the familiar, to the last parsecs of reality. In September of 2014 we launched a Kickstarter for a science fiction “starbox” setting, The Last Parsec. Go here to purchase material for The Last Parsec. They say ETU is a great place to earn a quality education without the big city distractions and dangers. This is the 21st century and no one wants to admit they’ve helplessly watched a classmate get sucked into the pages of a library book, come face-to-face with an angry ghost, or glimpsed a creature prowling the campus by the light of the full moon. College is where you make your own choices and find out who you really are. You can keep your head down, hoping to avoid the twisted horrors you sometimes catch out of the corner of your eye, or you can face your fears, fight the darkness, and protect your campus. Everyone starts out as a wide-eyed freshman, but if you survive four years at ETU you’ll be a hero. 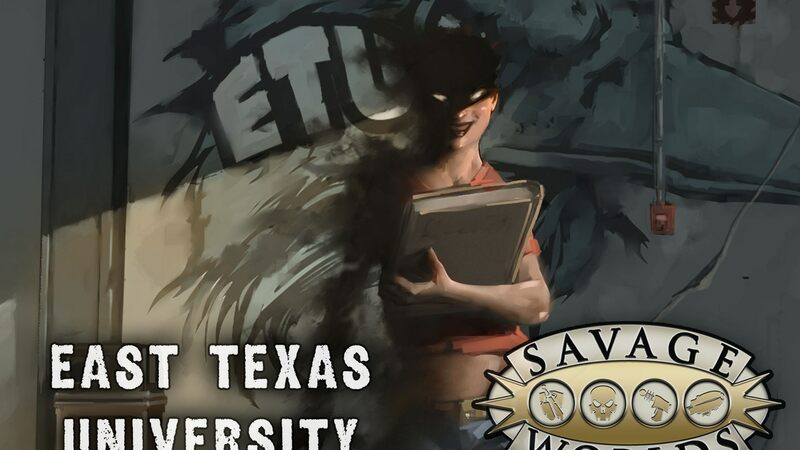 In partnership with 12 to Midnight, East Texas University is a modern day horror setting on—you might have guessed—a Texas university campus. To order prints or PDFs of the products, check them out here: East Texas University. 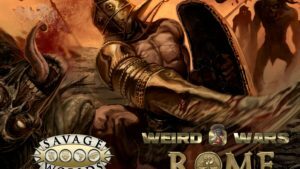 Weird Wars Rome is a setting and campaign book for adventures of violence and horror in the ancient world. The glory of the Empire spread to the corners of the earth. Its shadow found even darker places—and things—that defied record. Join the forces of Rome and battle through the ages against enemies. Discover the terrible secrets left out of the history books. Save your shieldmates. Save the Empire. Weird Wars Rome offers a supernatural take on Rome’s 200 year golden age. To check out the print and PDF products from this Kickstarter go here: Weird Wars Rome. New Orleans, 1935. The one thing that’s not in short supply is trouble. From shady thugs to crooked cops to Mafia soldiers, there’s plenty of characters out there looking to give an honest Joe a hard time. There are stories going round about things that go bump in the night. Things you wouldn’t want to meet in a dark alley on a darker night. The heroes? Steely-eyed private dicks, fast-talking grifters, wild-eyed inventors, and shadowy houngans with enough moxie—and more than a little luck—they might just be enough to turn the tide. 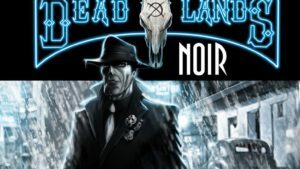 Deadlands Noir was our first project on Kickstarter. Support for this project was overwhelming—and we learned a bit about running a Kickstarter campaign from it. Thank you to everyone who encouraged our little idea into a full-blown setting of grifters, hougan, and things that slither in the bayou. 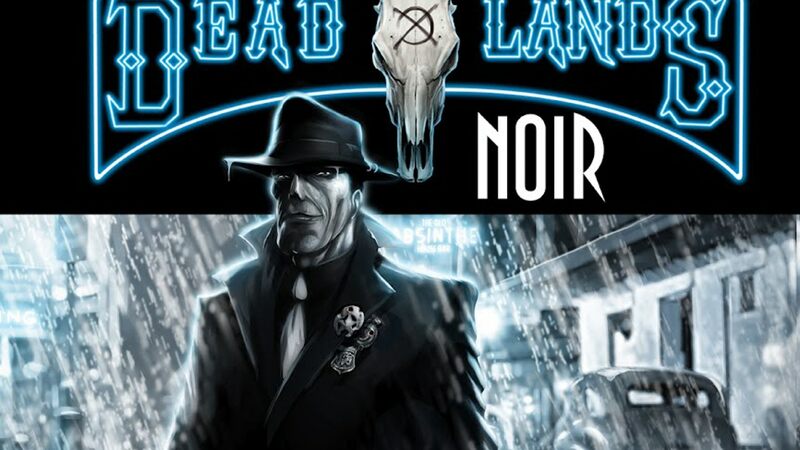 You can find all the products from that Kickstarter here: Deadlands Noir.